Discover an epic historical novel of a young saint escaping death from Pulitzer Prize finalist Luis Alberto Urrea, author of The House of Broken Angels. The prizewinning writer Luis Alberto Urrea's long-awaited novel is an epic mystical drama of a young woman's sudden sainthood in late 19th-century Mexico. It is 1889, and civil war is brewing in Mexico. A 16-year-old girl, Teresita, the illegitimate but beloved daughter of the wealthy and powerful rancher Don Tomas Urrea, wakes from the strangest dream-a dream that she has died. Only it was not a dream. This passionate and rebellious young woman has arisen from death with a power to heal-but it will take all her faith to endure the trials that await her and her family now that she has become the Saint of Cabora. 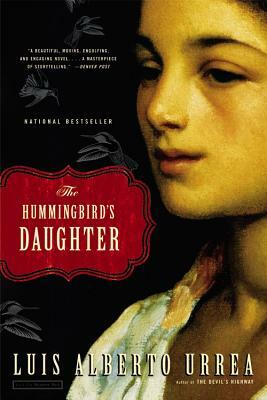 The Hummingbird's Daughter is a vast, hugely satisfying novel of love and loss, joy and pain.